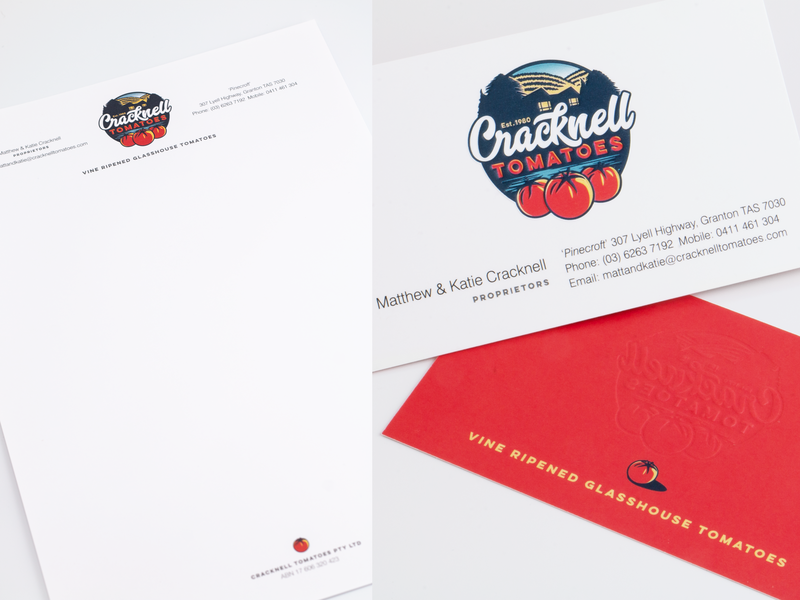 The vintage-style logo captures the Mediterranean-like climate of the area in Tasmania these tomatoes are grown, as well as the new 'modern rustic' family farmhouse constructed on the 'Pinecroft' property. 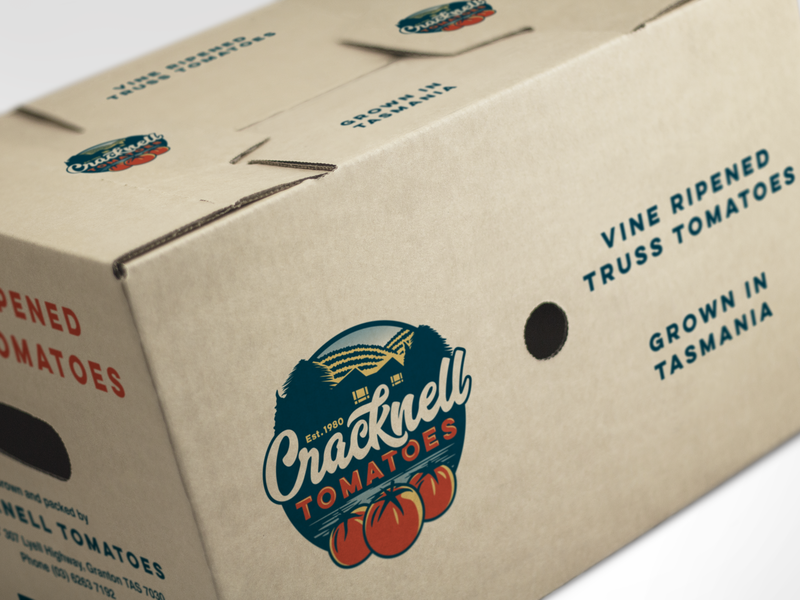 Reminiscent of the tomato and apple crate labels from last century, the logo features the family property, the sunny hillsides of Granton, and the water of the upper River Derwent. Branding also included a custom wrought-iron farm gate sign, designed by SAMBATIKI and executed by a local Blacksmith in Tasmania.